There is no denying that twins share an incredible bond. 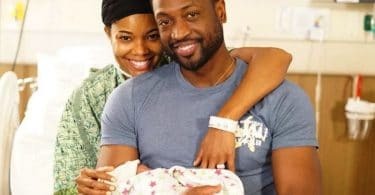 That bond was made stronger for two sisters this week after they gave birth to daughters an hour apart! 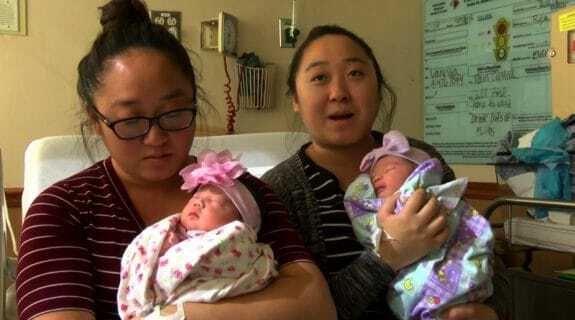 With due dates two days apart, Fresno sisters Bao Nhia Julia Yang and Bao Kou Julie Yang, 23, unexpectedly went into labor at the same time. “I started having like, I started spotting, so I think I knew that I was going to be in labor. And then I told her, and she was like, ‘I’m having pain here and there, too. I might be in there with you, too,'” Bao Kou told KPGE. Sure enough, both had baby girls Sunday night at Community Regional Medical Center in Fresno. “It’s like a miracle,” Bao Kou said. Laura Schleicher, a nurse who helped deliver the babies, told KPGE that in 18 years at the medical center she’d never seen twins give birth on the same day. “They just had great timing, very unique timing,” Schleicher said.